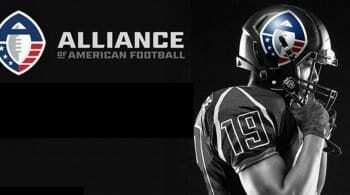 It’s a classic American success story. 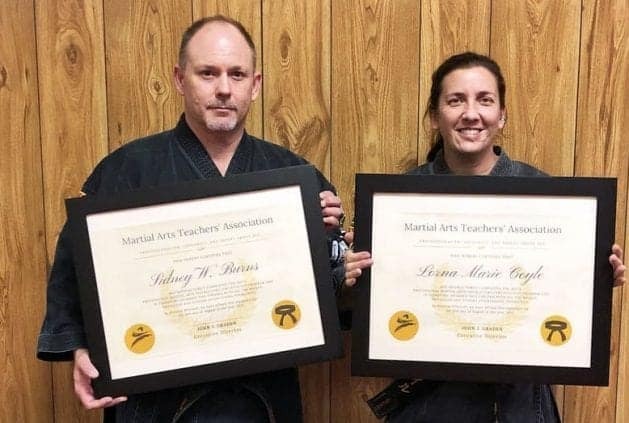 Sidney Burns of Bedford, VA, has grown from a karate crazed 8-year old to a master instructor with a well-established school and a year-old COBRA-Defense location that has rocketed out of the starting box. 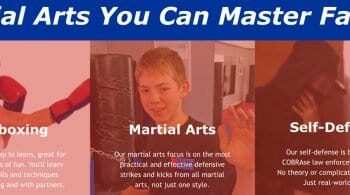 Like many martial arts professionals, Master Burns started out teaching in a YMCA until 2012 when he opened Blue Ridge Martial Arts in Bedford, VA.
Sidney says that the best thing about his business is that he feels as though he hasn’t worked a day at it. When he compares his current position to his days as General Manager of a concrete company, he can’t help but smile. But, he knows he didn’t get to where he’s at alone. Standing right beside him in full support is his wife of 29-years, Lisa and chief instructor, Lorna Coyle. 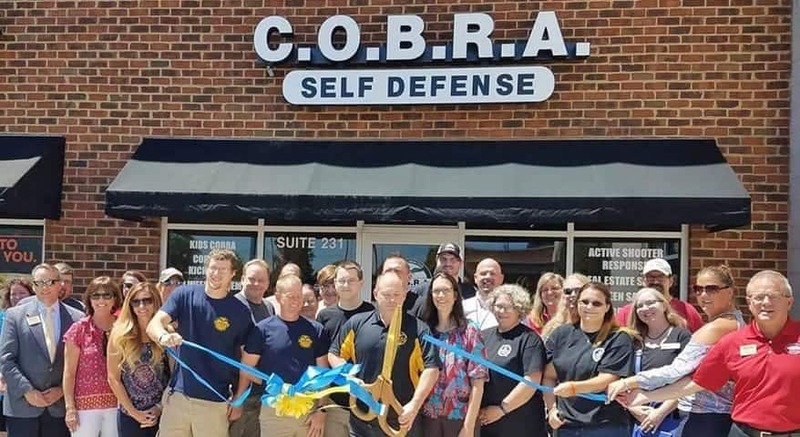 His focused efforts with his COBRA school are already paying high dividends with group and high-end private classes. Sidney and Lisa Burns have made it a point to be a positive source of support for the community as well. From working with a suicide prevention group to sitting on the board of Bedford Christian Services, they are committed to leveraging their unique skills and talents to help make Bedford, VA a better place for all. It seems to be paying off. Congratulations to Master Sidney Burns and the entire Blue Ridge Martial Arts team. How Martial Arts Instructors Miss the Mark in Teaching Confidence.